This week, I am mourning the loss of two people I have never personally met. I know that may seem like a very strange thing, but they have both touched my life in very special ways. About 2 months ago, my Editor at the paper received a handwritten letter. He explained to me that it was from a lady in the next town. She was a legend there for being the town historian and she had been a journalist since she was twelve years old. As I sat down and read the hand-written letter, I couldn’t believe what I was reading. She was 101 years old. She was friends with Willie Nelson, the country singer and she wanted someone from our paper to write a story about his upcoming birthday, he was turning 80. After reading and re-reading it, I googled her. The first picture that popped up was of this sweet looking old lady wearing a red bandana around her neck, standing next to Willie Nelson. Upon further research, I learned she was the daughter of a Nebraska newspaper man. 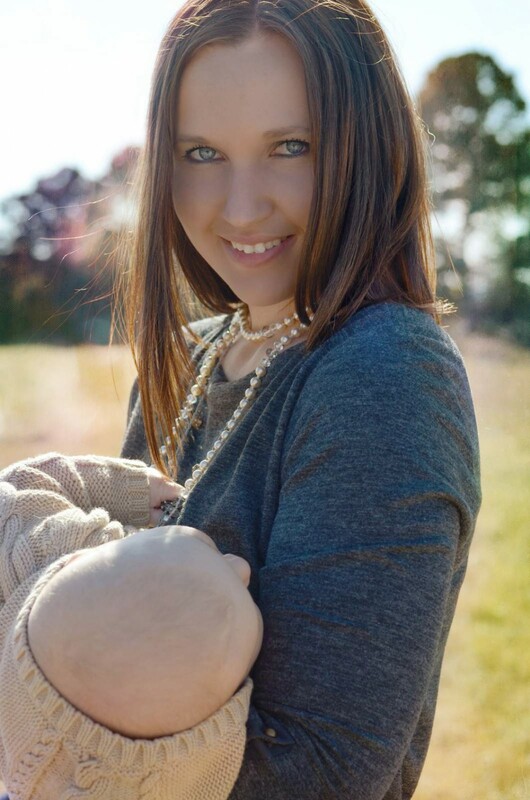 She began writing church articles for a newspaper when she was 12. She eventually ended up in Center, Texas. Later in life, she hosted a radio show called “Mattie’s Party Line.” She was described as being the town historian. She also wrote a weekly column for the paper there. Anyway, she publicly voiced her dislike for Willie Nelson, his music and his hair on the radio one day. Someone informed Mr. Nelson of the 70-something’s distain for him. He then took it upon himself to change her mind about him. When he had a concert scheduled near East Texas, he showed up to meet Ms. Mattie. He took her on a ride around the square on his tour bus. They waved as they passed by folks in town. After that, Mr. Nelson had a friend for life. Throughout the years, they remained in contact. The letter my editor received in the mail wanted people to know it was Willie Nelson’s birthday and wanted readers to send him a birthday card. Ms. Mattie included his home address! My editor informed me to include it in the article. The article ran on the front page of our paper. A few weeks later, I received a letter at work addressed to me. The return address said Ms. Mattie Dellinger. It was a very sweet letter thanking me for writing the story. She was requesting some copies of that paper. She also included in the letter that she was 101 years old and on oxygen “7/24” and that she knew a man with the same last name as me. She had gone to school with him. The following week, I mailed Ms. Mattie four of the Willie Nelson papers and a handwritten letter that explained that she was an inspiration to me. I also informed her that my last name was my married name, but I would be sure to ask my husband’s family about the man with my same last name. When I mailed the packet to her, I remember thinking that it would be really awesome to meet her personally and that she probably had a slew of stories that I would enjoy hearing. Tuesday we were putting last minute touches on things so we could lay the content for paper on Wednesday. We are a weekly paper. We send to press Wednesday and the paper comes out Thursday. 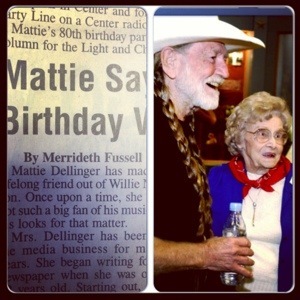 Anyway, late Tuesday, my coworker received a phone call stating that Mattie Dellinger had passed away that day. They were sending over her obit. I caught the name and the general idea of the conversation. My heart immediately sank. Here was this sweet old lady, whom I had never met, yet I was completely heart-broken that she had passed away. I remember thinking that I had hoped she had received my letter. I hoped she had read that she was an inspiration to me. She had an amazing life and career. I hope I wasn’t the last person to tell her those things. When I first met Ben, he was working on a pipeline in Ohio. Just like now, I would hear many of the same names over and over. One name that has been consistent to me over the years has been Frank Flynn. Ben worked for Frank in Ohio. I remember plenty of times when my husband would tell me stories about Frank. He was a Pipeliner by trade. He really enjoyed learning techie things about his computer. He had programs and GPS programs that mapped out the entire length of a line he was working. Just like my husband, after the job in Ohio, Frank moved around a lot. He owned a house in North Carolina. He has some land in Texas near one of the well known rivers. He has a son who is also a Pipeliner. Anyway, over the last four years, I have heard story after story about Frank. Frank was almost like a mentor for my husband. He knew way in advance where all the hot spots for upcoming pipelines would be starting. If Ben had a messy question about his current line that nobody working for him could answer, he would call Frank. My husband is forced to be on the phone a good bit for his job. Besides me, his son or a family member, he really doesn’t have phone calls that he stays on longer than an hour because he wants to. Frank was the only other person that he really kept in contact with no matter where either of them were working. I have seen him send people to his voicemail that he didn’t want to talk to at that moment. Frank was never one of those people. Ben would start telling me some little story about Frank and refer to one of his personal traits, that I knew nothing about. When I looked confused, he would look at me funny. I would have to remind him several times throughout the years that I have never met Frank. I feel like I know so very much about a man that I have never met. This isn’t uncommon for me. I hear about a good amount of people who my husband works for or with and I will probably never know half of them personally. I could pass them on a street one day. I may have heard their name everyday for a year straight and have no idea what they look like. After the pipeline job in Ohio ended, Frank worked a few other jobs. I think one was in Texas. About two weeks ago, my husband told me that Frank was back in Ohio working another job there. He said that one day, Frank didn’t show up for work and his son was there working with him. Ben said his son called and called and couldn’t get Frank on the phone. They finally sent the police out to his travel trailer to check on him. The police found Frank. They believed he had an aneurysm. They transported him to the hospital. His son called Ben and told him the news. For the past few weeks, I regularly asked my husband if he had heard any news on Frank. One day last week, he said the doctors had told his son that Frank had stage four lung cancer and stage four brain cancer. Last week, they made the decision to send him to hospice care there in Ohio so his only son would be there close to him. Today, I was laying next to Cooper while he took a nap. My husband came in and informed me that he just got a text from Frank’s son that Frank just passed away. I felt this immediate sadness. I began to cry. I explained to my husband that although I had never met Frank, he was such an important part of my husband’s life that I just felt a true feeling of loss. I have learned this week that sometimes two paths my never cross physically, but the heart knows no boundaries for love and respect. My heart goes out to their families. Two amazing people I have never truly known have left their marks on my soul.